Home / Articles / Citizen’s assembly to break Brexit deadlock? The idea that a citizens’ assembly could help resolve the Brexit impasse is picking up wide support. A diverse group of notable figures proposed it just before Christmas. MPs including Labour’s Stella Creasy and Lisa Nandy and the Green Party’s Caroline Lucas have backed it. So too has the Guardian newspaper. Former Prime Minister Gordon Brown has put forward a plan for citizens’ assemblies as part of ‘a process of nationwide consultation and reflection’, which was endorsed in a post on this blog last week. This was seen most potently last year, in Ireland’s Citizens’ Assembly and subsequent referendum on abortion. The assembly shed fresh, clear light on what had been a highly divisive issue, enabling considered, informed debate during the referendum campaign. That assemblies can generate quality discussion and engagement has repeatedly been demonstrated here in the UK too – by two pilot assemblies held in Sheffield and Southampton in 2015, by the Citizens’ Assembly on Brexit organised by the Constitution Unit and partners in 2017, and last year by the Citizens’ Assembly on Social Care – the UK’s first official assembly of this kind – and the Citizens’ Assembly for Northern Ireland. At the same time, citizens’ assemblies are not suited to all questions or contexts. As Tim Hughes argued in a valuable blogpost last month, we should be realistic when thinking about such assemblies and the conditions needed for them to succeed. I will highlight two key requisites. First, any citizens’ assembly must have the time to do its job properly. Exactly what that means depends on the job in question. For a simple topic, two weekends can be sufficient, with members learning from each other and invited speakers over the first weekend and deliberating and reaching decisions at the second. For a more complex topic, or to allow deeper examination of the issues, more time is often desirable. Ireland’s Citizens’ Assembly had five weekends to examine the topic of abortion. In Canada, citizens’ assemblies in British Columbia and Ontario focusing on electoral reform each had twelve weekends. However long an assembly meets for, time is also needed in advance for preparation. A programme must be developed and skilled facilitators appointed. Accessible, impartial briefing materials must be prepared. Great care is needed to ensure that the line-up of speakers is appropriately balanced. Assembly members must be recruited through a process of random selection that ensures they reflect the make-up of the wider population. Several months should be allowed for all this to minimise the risk of problems down the line. Second, the more support there is for establishing the assembly across the political spectrum the better. If only one side of a debate sees the assembly as legitimate, members of the public supporting the other side may be disinclined to take part, recruitment of speakers reflecting all major strands of opinion may be difficult, and the assembly’s recommendations will be unlikely to garner widespread respect. This need is not absolute. Ireland’s Citizens’ Assembly was distrusted by many pro-life campaigners, but they engaged enough for the process to succeed. Nevertheless, the more polarised the context, the harder it is for any citizens’ assembly to cut through. First, an assembly might be established very quickly to guide parliament on how to overcome the immediate impasse. Stella Creasy and Lisa Nandy have suggested this could be achieved within seven weeks – meaning that, in theory, it could be done and dusted before Brexit Day on 29 March. Second, if Brexit were postponed, an assembly could be given more time to examine the same issue, of how the core Brexit question should be resolved. This is proposed by Gordon Brown, who suggests that Brexit could be delayed for a year to give time for considered national debate. Third, should a referendum be called, a citizens’ assembly or other similar deliberative process could be used to help lift the quality of discussion and information during the campaign. This happens before referendums in some American states, and last year’s Independent Commission on Referendums suggested it could be piloted in the UK. Fourth, if Brexit does happen, years of discussion and negotiation will be needed to determine the UK’s future relationship with the EU. The ‘political declaration’ agreed between the UK government and the EU sets out only the bare bones of this. A citizens’ assembly would allow the public to help flesh it out. The 2017 Citizens’ Assembly on Brexit focused on exactly these questions. Fifth, the Brexit process has exposed deep divisions within society, and there is a desperate need to address the sources of those divisions and bring people back together. The RSA and others argue that, once the Brexit question has been resolved, a citizens’ assembly – or series of assemblies – could be crucial to the process of achieving that. The appeal of the Creasy–Nandy scheme is clear: with parliament in seemingly intractable deadlock and given the potential for another referendum to deepen division still further, a new approach seems all too necessary. But a citizens’ assembly of this kind just does not look feasible. 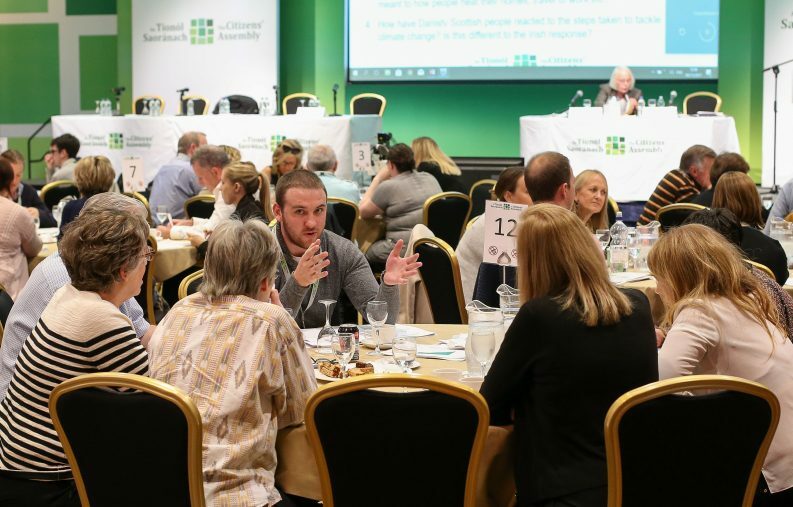 Trying to organise and run a citizens’ assembly within just seven weeks is too risky on such a contentious topic and risks a deeply flawed process. In any case, it is not credible to think that, in the current context, parliament would step back for seven weeks and let an exercise in citizen deliberation take its course. Support for the idea comes only from Remainers, and it would be easy for Leavers who felt so inclined to dismiss it as an attempt to frustrate Brexit. Gordon Brown’s proposal recognises the need to give a citizens’ assembly adequate time. His suggestion is that the Article 50 period should be extended for a year to allow ‘a process of nationwide consultation and reflection’ about relations with the EU, including multiple citizens’ assemblies. He says that these assemblies would explore all the concerns that Brexit raises: about immigration, sovereignty, the costs of membership, and other burning issues such as the state of manufacturing, the condition of our left-behind communities, and the rising child poverty austerity has imposed. As I have argued elsewhere, this is what should have happened before the 2016 referendum was called: a citizens’ assembly akin to those in Ireland, to examine what proposals (if any) should be put to voters. Let us hope that future referendum planners will learn this lesson. Inserting such an assembly into the decision-making process at this late stage would be harder, but not impossible. Public opinion and businesses might baulk at the prospect of extending Brexit uncertainty for so long, but there is no doubt that a year would give ample time for a high-quality deliberative process. The key question concerns consent. So far, those backing the idea of a deliberative pause have been Remainers. Support from Leavers too would be important for any assembly to succeed. It is not inconceivable that such support may emerge. If leading Leave supporters come to recognise that no route to the kind of Brexit they want is now available through parliament – or if they see the value of achieving Brexit by more consensual means – they might sign up to the idea that a citizens’ assembly could help unlock progress. The use of citizens’ assemblies – or, rather, smaller citizens’ juries – to enrich discussion during referendum campaigns has been pioneered in Oregon. Citizens there vote on multiple ‘ballot propositions’ every two years. For some of these, a random sample of 20–24 people meet for four or five days in the early stages of the campaign to learn, deliberate, and produce a one-page outline of their conclusions. They indicate which claims they find persuasive and what they think the key points of discussion are. A similar process could be used here if another Brexit referendum is held. Legislation for such a referendum would take two to three months to pass. That is too little time for a full-scale citizens’ assembly, but it would give sufficient space to run a simpler deliberative exercise – perhaps a series of one-weekend events exploring people’s views on particular issues relevant to the vote. Consent in this scenario is unlikely to be an issue: so far at least, Leavers clearly oppose a referendum; but if one is called, it would be difficult to argue against efforts to help voters engage with the choice before them. It is unlikely that such an exercise would be established officially, but it could be created by others. For example, broadcasters have recognised they need to do better in any future referendum at enabling voters to cut through the campaign spin to find information they can trust. A series of deliberative events could play an important part in achieving that. If Brexit happens, many of the big questions about the UK’s future relationship with the EU will remain to be resolved. Given how far the Brexit process has strained popular confidence in normal politics, it will be essential to find ways of connecting the broader public to this process. The 2017 Citizens’ Assembly on Brexit demonstrated that a public deliberative exercise examining such questions is entirely feasible. It found majority support for a close ongoing relationship with the EU – though, of course, there is no guarantee that an assembly held two years later would deliver the same result. If full determination of the future relationship by the end of 2020 remains the goal, giving an assembly of this kind sufficient time to conduct its business well might be difficult: the negotiations would need to proceed too quickly to allow a lengthy pause. But that timetable looks increasingly undeliverable, and, with more time, an assembly becomes much more realistic. An assembly of this kind could also expect to secure broad political consent: if Brexit has happened, it will be very difficult to argue that a fresh round of public deliberation is illegitimate. Indeed, in her statement to the House of Commons on Monday, the Prime Minister acknowledged the need for a considered and inclusive approach. She did not reject the option of a citizens’ assembly when Labour MP Debbie Abrahams asked her specifically about it. The final kind of citizens’ assembly would take us beyond Brexit and would be designed to address the divisions that have been exposed and deepened by the Brexit process. Citizens’ assemblies might be used to explore people’s priorities for the policy agenda over the coming years. Or they might examine specific policy issues that politicians cannot readily resolve on their own – as did last year’s Citizens’ Assembly on Social Care. There is no doubt in my mind that citizens’ assemblies of this kind will be needed and that they could do much both to reinvigorate democracy and to enhance policy-making. Around the world, citizens’ assemblies and other similar bodies have been shown again and again to perform such roles very effectively on a wide variety of issues. Time will be available to do that and, I hope, politicians across the political spectrum will recognise the opportunity. Citizens’ assemblies ought, therefore, to play an important role in our politics in the years ahead. We should not imagine that they could magic away all the current quandaries over Brexit. 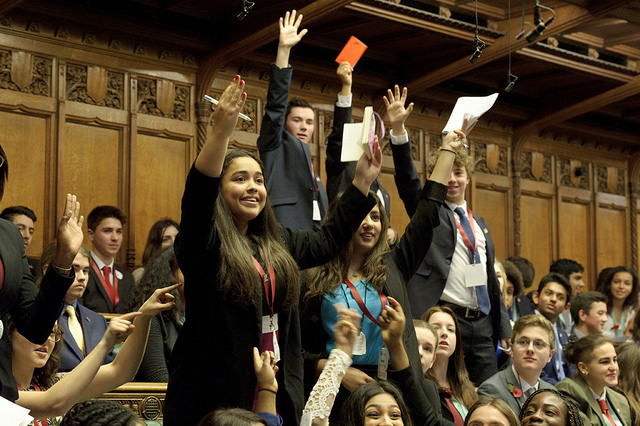 But they could play several important roles in clarifying options, reflecting on solutions, overcoming division, and reinvigorating democracy in the UK.